When I married my husband, John, I was thirty-three and he was fifty. He was teaching at NYU at the time, and I moved into his five-floor walk-up in Chelsea. This was not my dream home. The creaky wooden stairs were worn from a hundred years of use, the street outside was noisy, and the tiny bathtub was squeezed into a corner of the kitchen. During my workday as an administrative assistant, I indulged in my lifelong fantasy of moving to the country and writing full-time, even though quitting my job would mean cutting our income in half. It would also mean extricating my husband from our Chelsea apartment, along with his library of 5,000 books. Then a miracle happened: our building went co-op. We managed to scrape together enough money for a down payment, lease out our apartment, and rent a small a farmhouse in Bucks County, Pennsylvania. We were both happy to be out of the city, and John continued to teach at NYU, commuting three days a week. 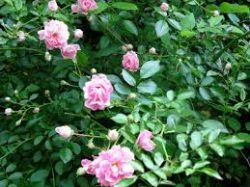 It was June, the air was filled with the scent of wild roses, and I spent the long summer days in a many-windowed room, looking out over rolling fields and farmland, and writing. I had achieved my dream. Except for one thing. A baby. I had always wanted a baby. But having a baby at this juncture of my life felt like pushing my luck. We had little income, the farmhouse was tiny, and my husband was seventeen years older than I. And what if a baby meant I would have no time to write? I felt torn. In spite of my ambivalence, I tried to get pregnant. When that didn’t work, we underwent fertility treatments for several years. Still no luck, so we registered with an adoption agency in Texas. All this time, my ambivalence continued to grow. The truth was, we weren’t getting any younger, or even much richer in spite of the fact that I had begun publishing children’s books. I had a husband I adored and the freedom to write full-time. Should I just appreciate the life I had, and forget about a baby? My ambivalence resulted in endless debates in which I always took the opposing side to other person’s argument. My friend, Gwen, said my hair would instantly turn gray if I took on a baby at my age (by now I was in my forties); I argued with her fiercely; I wanted a baby. My therapist said I would be depressed like elderly nuns he’d treated if I didn’t have a baby; I insisted that a baby would ruin the life John and I had so carefully constructed. We kept arguing all the way to the elevator in his office building. “If I have a baby, I won’t have time to write!” I said, as the elevator doors closed, shutting him from view. “Just for a while!” I heard his voice calling down the elevator shaft. John said he was fine either way, so I couldn’t argue with him. In the meantime, we waited. After three long years, we got the call from the adoption agency; our daughter had been born. I took a plane to Texas to get her, feeling more terrified and ambivalent than ever. I had not inherited the science gene from my dad, so discussing recombinant DNA was probably not in my future. Still, I got the point. Would I rather be changing diapers, or sitting in a room reflecting on life, and transforming experience into stories? 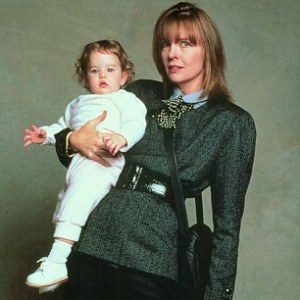 The baby was two days old when I got her from the agency the day after my arrival. Back at the Residence Inn in Lubbock, I hurled myself into full-time baby care. And agonized about whether I should back out. After all, there was an “opt out” clause in the contract I had signed. I called my friend, Mary-Kate, who had recently become a mom. Whoa. That was a scary thought, almost scarier than just getting on with motherhood. But the truth was, my perspective had already begun to shift. While I was busy agonizing, the world had gently rolled on its side, and love for the tiny baby in my arms came streaming out. That was one thing I had not counted on. But what about my writing? I had always been a writer, and now, after quitting my job, I finally I had time to write. I breathed words, and wrote stories and essays even as things were happening. But wait a minute, things were happening – all kinds of new experiences and emotions. Could I write about them in-between taking care of the baby? So, with one shaved leg, wrinkled jeans, and a bruised face from answering the telephone in my eye, (not recommended), I put the baby in her car seat, called a cab and went to a computer store to rent a laptop. Back at the inn, with the baby sleeping beside me, I started to write . . . and write . . . and write. I wrote about my Friday night “date” with the baby: A trip to the store for diapers with umbilical cord protection. How exciting was that? I wrote about all the mothering advice (and mothering) I was getting from the staff at the inn. 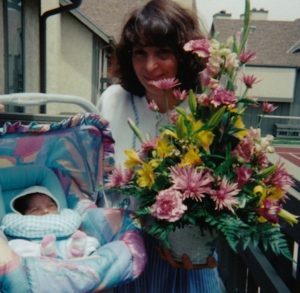 I wrote about John sending me flowers for my first Mother’s Day. I wrote about the baby. She was so spunky, so full of life. “Come on, Mom, let’s get going!” she seemed to be saying. Of course I had less time, and lots of interruptions. But I discovered something I never could have guessed beforehand. All my ambivalence had taken up a gigantic psychic footprint. I never realized how heavy it was, how burdensome, how time consuming. Now, instead of ambivalence, I had a beautiful baby daughter, and a rich new world of experience, humor, and love to write about. Originally published by Mothers Always Write. Beautifully​ written, thanks for inspiration. l had just started my writing career when I got pregnant and now I wish take it to boom. Loved the piece, keep up. Thank you Ashna! You certainly never run out of subject matter with kids!